Andy Kheron 11 hours ago April 12, 2019 Leave a Comment on Should You Buy DSLR Camera or a Trail Camera Instead? Purchasing your video camera might be hard for you. What is your way to pick your video camera despite different accessories, types, brands, and models? There are lots of companies that can offer you with the best and the greatest DSLR video cameras that you may love. Find the DSLR video camera company that will assist you in making your decision, but it is a high chance that your chosen company will recommend you to buy either DSLR video camera of Trail type of camera. The DSLR type of video cameras is one of the most chosen video cameras of lots of photographer and video creators. It is because the DSLR video cameras can capture high-quality images, lightweight, and versatile. That only means you will have the chance to shoot anything that you want to. 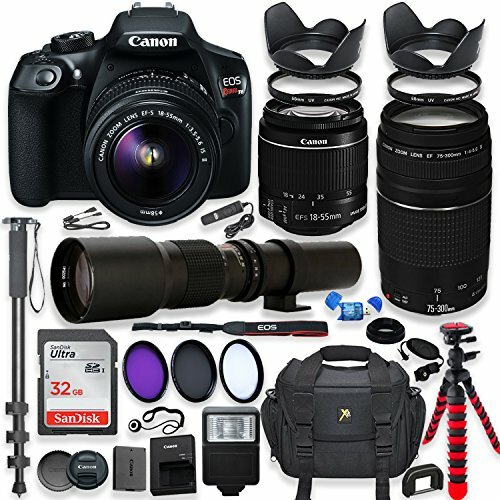 These types of camera can also be upgraded as time goes by, and as a time you enhance your shooting skills, it will just be easy for you to use another type of video camera without throwing away all the gears and accessories of the video camera you have been purchased previously such as batteries and lenses. Even though there are lots of reasons that make you love a DSLR video camera, but there are still some reasons why you should not purchase one of them. But some people will prefer to use this kind of video camera. If you will buy your DSLR video camera, make sure that it is really for you and you know how to handle it correctly. It is because DSLR camera is not a type of camera that can be accessed by everyone. Only those people who know about the camera can use it correctly. What Makes the DSLR Camera the Right Choice? A lot of people prefer using a DSLR camera. Want to know about it? The following are the reasons why you can be sure that DSLR video camera is really for you. Keep on reading! We all know that the prices of a video camera vary upon its quality. If you want a higher quality of video camera, then you should have a higher amount of money for paying it. I know some of you will find a type of video camera that has the price ranging from 1000 US Dollar up to 4000 US Dollar varying upon the setup of your chosen camera. One of the primary reasons why DSLR video camera has a higher range of price is because this is a type of video camera that requires the user to have lots of attachments, such as its special lenses. Different ears and accessories of DSLR video camera will add its price amount. If you are going for this video camera, it will always be your choice, but make sure that you should know that it is kit lenses of stock lenses that come up with these cameras is just garbage. They are usable at first, but when you use it for a long time and try to upgrade the lenses, you will see a wider gap of difference. Glass and lenses play a significant role in the camera, and they can change the look of a photo, from a low shot into a higher one. You must know that if you want a better type of glass or lenses, it is much more expensive, but a still higher level of lenses and glass are worth purchasing. I know that all of these accessories will give you benefits and high value. In my perception, these are worth the money. If you are not a type of person who is not a fan of shooting videos and photos in high quality, then you should not buy DSLR camera. These cameras will require you to control it every minute, you should also have to monitor its settings, and I know that it is a daunting type of task for some people. Let’s be real, all of us can shoot videos all by ourselves, but not all can hire an expert photographer or videographer. And instance like these, a Trail camera is preferable to purchase than a DSLR camera. DSLR cameras will require two individuals to manage it, and there are some technical and a handful of items that will give you a bit overwhelming feeling. In this generation, some DSLR video cameras have the feature of autofocus that will increase the quality of the photo or a video, plus there are also DSLR cameras that allowing you to set up the camera and forget about it. But if you are going to purchase these kinds of DSLR camera, make sure you have enough money inside your pocket because this is pricey as ever. DSLR video camera is a type of technical one. You should know its ins and outs for you to be able to get the best photo that you want to. For instance, you need to have some ideas about the white balance feature of the camera, ISO, aperture and speed. And you are also required to have ideas about the difference between APS-C camera and a full-frame camera. In terms of lenses, you must have ideas about focal length and lens mounts. Furthermore, you should also require to know some ideas about the F-stop of the camera and how it will control the depth of your field and how it will work with the aperture. The main point of this is that you need to familiarize yourself about the features of the DSLR camera. A DSLR video camera is useful, but it is also quite confusing. Users have a more extended period learning about the features of DSLR video camera. In this regard, having plenty of knowledge and ideas about the techniques on using the DSLR video camera will help you to be a great videographer, filmmaker, and photographer. You should first think the technical aspect of the photo and need to shot it at its best angle. The following are the good reasons why you should buy a trail camera. Want to know more about it? Keep on reading! Want to shoot some photos and record numerous videos and immediately send these to your relatives or friends? Or, you want to possess an efficient and simple type of security camera that will enable you to ensure the security of your family as well as your property? Then a Trail camera is perfect for you! People, especially hunters usually use this kind of video camera, because it enables them to shoot and record photos and videos to help them know the specific behaviors of an animal at any time. You can also use this trail camera as your security camera inside and outside of your home or any properties of yours to monitor the safety and protection of your family members and your properties as well. All of us probably love to see beautiful views and sceneries. Sceneries photos and videos are an attractive type of attractions that can help you to ease or at least to reduce your tiredness and stress either because of some personal issues or from your work. If you have your trail camera, you don’t need to hunt or to travel all alone. With the use of your trail camera, you can now take a photo or record a video of scenery that is memorable for you and will last for over hundreds of years. You can also use your trail camera to take a video or a photo of the strange things you have seen in your life. Is it fascinating right? Through the megapixels of your camera, you can now measure the resolution or the quality of it. The higher the number of the megapixels or MP, the better the result of the picture it will give to you. And what’s interesting is that some of the trail camera models offer you a 10 to 20 MP of image quality or resolution. Through this, you can now record and shoot high quality resolutions of videos and images. It is not common to have a blurry image with trail cameras. Having a camera that has 7 MP above, you can now have the quality of image or video that will satisfy you. Password protection is one of the unique features that a trail camera has compared to other types of video camera. But there are also some camera models that also have this kind of camera feature. Through having password protection of your camera, you can now ensure that its owner protects your photos and videos taken with your trail camera. Once you lost it, there will be no individual that can access it at all. Through this, it will ensure you that all of your important videos and photos are taken will be safe and protected. No one will ever use without your permission. The setup of a trail camera is simple and easier than the DSLR camera. Almost all of the camera users can quickly adapt this trail camera to take whatever photos or videos they want. The instructions of the trail camera are simple and technical skills are not needed. As stated earlier, trail camera applications are not only limited to shooting and recording videos and pictures. There are lots of features that you can explore with a trail camera. This trail camera is significant for hunters due to it can successfully make a hunting season if you want to. You can also use trail cameras on securing your properties or your workplace. There are lots of people who use this trail camera as their nanny camera. You can also use trail cameras in your hobby or amateur photography and for observational and educational purposes as well. Most of the trail cameras brands and models that you can purchase in malls or online are all budget-friendly, but even if it offers you a low cost, it is still on its high quality. You can purchase trail cameras at a price amount that will not make a hole in your pocket. It is very affordable. Thus many people who want to take and record good quality of images and videos prefer to use trail cameras rather than DSLR camera. You can also find that DSLR camera and Trail camera have similarities in their features, but the DSLR camera is costly than what you expect. Best Trail Camera under 100 Dollars Budget friendly trail camera listed. A DSLR camera and Trail camera are both can give you the quality and resolution of images and videos that you want to. But in terms of budget, a trail camera can be your first choice. While in terms of high quality and resolution, I am sure that you will prefer a DSLR camera. Though both of these video cameras can give you the high-quality resolution of videos and pictures, it is always your choice which of the two you would prefer to purchase. Both of the video cameras have their advantages and disadvantages. 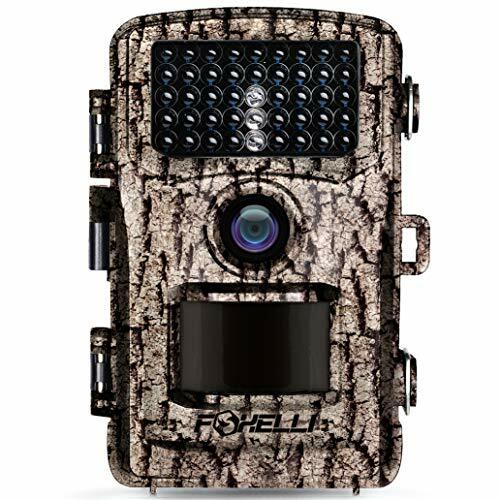 If your decision will depend upon the budget but still give you a high-quality resolution of images and videos, then I will recommend you to purchase Trail camera. But, if your decision will vary upon the quality and resolution of the videos and pictures, then I recommend you to choose a DSLR camera. Keep in mind that DSLR cameras are a type of cameras that require you to monitor its settings before you start using it. They also need to have perfect lenses for your perfect shot, while the Trail cameras are the type of cameras that are simple, affordable, and easy to access which can be used by both first timer and professionals.